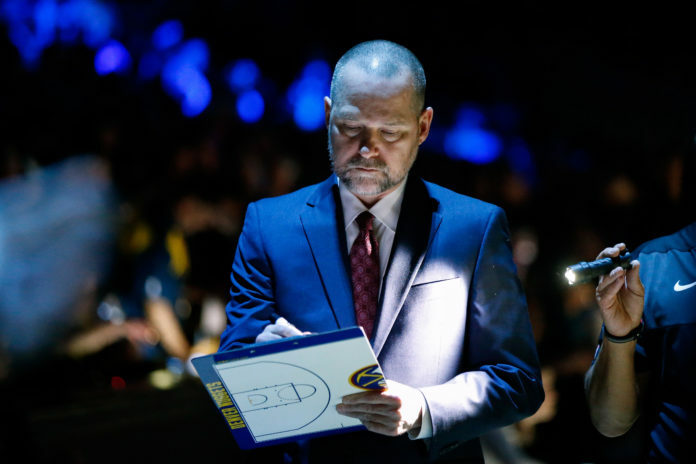 With the Denver Nuggets 107-106 victory over Minnesota on Saturday night it ensures that Michael Malone and his coaching staff will coach Team LeBron at the All-Star game. Malone and his staff were awarded the honor after Denver posted a better record than Golden State through February 3rd. 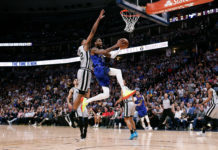 Even though both teams have the same record (37-15), the Nuggets beat Golden State on tiebreakers because of a better record (23-10) within conference play. This will be the first time since 2010, that Denver’s staff will coach a team at the All-Star game. The last Nuggets coach to do so was George Karl. 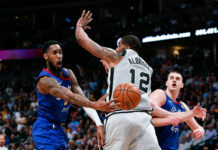 Under Karl, the Western Conference lost to the East 141-139 in a game where Denver had two All-Stars — Carmelo Anthony and Chauncey Billups — participating. Anthony led the Western Conference with 27 points, but it was not enough as the Eastern Conference took home the victory. The Nuggets coaching staff will look for a different result this season as they will be apart of the new and improved All-Star game format. Rosters are no longer decided by West and East as they are decided by whether LeBron James or Giannis Antetokounmpo select them. Malone and his staff will be in charge of LeBron’s team, while Milwaukee Bucks head coach Mike Budenholzer runs his franchise players team in Antetokounmpo. It will also be a symbolic game for Malone and his staff as they will (hopefully) be coaching Nikola Jokic in his first career All-Star game, that is if James selects him to his team. Nonetheless, it will be an extremely cool experience not just for Jokic, but for Denver’s coaching staff as a whole. “I think that is really good for our organization,” Jokic said after the Houston game on Malone and his staff coaching the All-Star game. 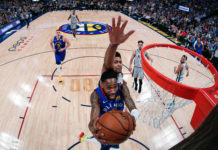 No matter what results come from All-Star week, nothing but good things will come from the exposure the Nuggets organization will receive during one of the NBA’s best weekends of the season. One thing is for certain, and this is the Nuggets as a team have earned it with their play so far this season.